ADT will wrap up a busy year in smart-home innovations by appearing at the world’s premier showcase for consumer electronics. The International Consumer Electronics Show (CES 2016) returns to Las Vegas in early January for a four-day tech spectacular. ADT, a fixture at the annual event, will again be among the exhibitors offering a sneak peek to consumers, tech journalists and gadget gurus. 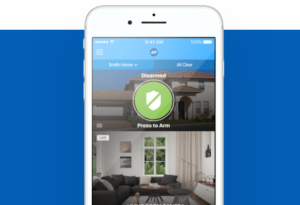 The buzz at CES 2016 is sure to include ADT’s flourishing partnership with Nest and the evolution of the ADT Smart Security platform. North America’s #1 monitored security provider can look back on a year of new projects and new partners. May — ADT announces a joint venture with Nest that involves integrating the Nest Learning Thermostat into ADT’s monitored home security/home automation system, ADT Pulse® Interactive Solutions. ADT also launches a partnership with LG Electronics to develop an innovative smart security product that combines ADT monitoring services with an LG plug-and-play device. July — ADT announces an update to the ADT Pulse app that provides a more seamless interaction with the Nest Learning Thermostat. The new ADT Pulse mobile experience offers an “Always On” dashboard, a customized visual experience and voice command features previously available with the PulseVoice™ app. November — ADT expands its partnership with Nest by making the ADT Pulse-Nest Learning Thermostat integration available nationwide. The “open-API” design of the new ADT Pulse app sets the stage for further integration from third-party applications in addition to Nest. The strategy aims to provide a home automation platform capable of growing and adapting as the needs of customers change. In the past year, North America’s largest monitored security provider has significantly expanded its presence in the smart home market. Look for that trend to continue as ADT unveils new features and innovations at CES 2016. You can stay connected to news about ADT and CES 2016 on adt.com or by following ADT on Twitter (https://twitter.com/adt) and Facebook (https://www.facebook.com/ADT).